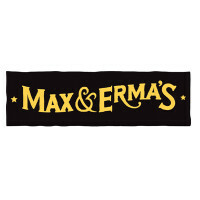 Max and Erma’s is a chain of casual dining restaurants found across the Eastern and Midwestern United States. With a focus on specialty burgers, this restaurant also offers other classic American cuisine offerings including specialty salads, steaks, sandwiches, chicken, appetizers and seafood. They also have a special gluten-free. For more information on your Max and Erma’s application, follow the link below. Founded in 1972 in Columbus, Ohio by Todd Barnum and Barry Zacks, there first location was a tavern they purchased from Max and Erma Visocnik, who owned and operated it since 1958. Barnum and Zacks opted to keep the name, and turn it into a themed restaurant with eclectic décor and was a great place for families and friends to enjoy. It is currently owned by American Blue Ribbon Holdings. Max and Erma’s believes in providing quality food and great service at an amazing price. They also have strong beliefs that companies should be socially responsible and help give back to their communities. This is a company that is very active in help with many fundraising activities within their local communities in a variety of ways. This company offers their employees a fun and laid back environment to work in. In return, they want their employees to treat each other respectfully, and provide warm and enthusiastic service for their customers. They want their customers to have an amazing customer service experience to keep them returning. If this sounds like something you would enjoy, apply today. There are many career opportunities between the corporate office and the restaurant level. This company encourages growth within their ranks so a person can turn their job into a Max and Erma’s career. The restaurant level offers entry-level positions for a person to get a foot in the door to move up the ranks. Some positions here include server, dishwasher, and manager. At the corporate office, there are many job opportunities that one can find here; often there is something for every job seeker. The corporate office can sometimes even offer additional perks over restaurant level positions. With all of the different positions, here are just some categories including marketing, legal, and human resources. How old do you have to be to work at Max and Erma’s? The minimum age of employment is 16 years of age, usually at an entry level position like server or dishwasher. There are a variety of positions with specific requirements to gain employment, so look closely to ensure you are a good fit for the job. Max and Erma’s offers a highly competitive benefits package for its industry. Employee eligibility for benefits can depend on hours worked weekly and other considerations. Some benefits include 401(k) plans, as well as medical, dental and vision plans. They also offer life insurance options, paid time off, advancement opportunities, and disability insurance options. These are only a few of the benefits they offer. The hours of operation can vary depending on location and holidays. For more information, check your local restaurant for details on the hours of operation. Hours of operation are usually Monday through Thursday from 11:00am to 12:00am, Friday and Saturday from 11:00am to 1:00am and Sunday from 11:00am to 11:00pm. Server- A server is responsible for greeting customers at their table. They will take the customer’s drink and food orders, carefully noting and special requests or allergies. Before bringing the food to the customers, they should ensure that the order is done to their orders. A server should also anticipate their customer’s needs, providing drink refills as needed. A server may earn around $3 per hour, not including tips. Host/Hostess- The host is responsible for greeting customers upon entering the restaurant. They will seat customers, or place them on the waitlist if needed. They should provide approximate times for waiting for a seat for those on the waitlist. They will answer the phone to answer any questions or take reservations. The host must ensure the waiting area is always clean and organized. A host may earn around $9 per hour. Line Cook- The line cook is responsible for preparing the orders according to company recipes and policies as well as according to the customer’s specifications. They must also ensure to rotate items in the kitchen to ensure spoiled or expired food gets thrown out. They must ensure the kitchen is sanitary and organized. A line cook may earn $11 per hour. General Manager- The general manager is responsible for ensuring that their location is run in accordance to company policies. They will be responsible for the hiring process and recruitment at their restaurants by conducting interviews, hiring, and ensuring proper training of new staff. A general manager may earn around $52,000 a year. Why do you want to work at Max and Erma’s? The interviewer is looking to see what has drawn you to this company. You can mention what made you apply to this company and even discuss values that you feel that you share with this company. Have you ever had a customer that you couldn’t please and how did you handle it? The interviewer wants to see what your customer service skills are like. There are often customers that are just difficult and impossible to please and the interviewer wants to see how you handle that. Discuss any time this may have happened and what you did to help resolve it. Why should we choose you over the other applicants? With all the other applicants that the interviewer is interviewing for that position, they want to know what makes you stand out. You can discuss your strengths and why they would benefit from them. Have you ever had to work as part of a team to accomplish a goal? Team work is important and the interviewer wants to make sure that you are a team player. You should take this opportunity to discuss any time you have had to work as part of a team. What are your future career aspirations? The interviewer is looking for someone who will want to work with the company for a while, even grow within the company. Take the time to briefly discuss your future aspirations and how this company fits into that plan. In case you were wondering how to apply at Max and Erma’s, you can apply for a Max and Erma’s job by visiting Max and Erma’s jobs online. You can also fill out an application form at your local restaurant. The website does not have downloadable applications or printable applications. You may find that the easiest way to apply is to apply directly online. You can find the job descriptions and responsibilities on the company website. This can help job seekers find the right position for them to apply to. It is a good idea to submit an updated resume when you fill out your application. It is also important that you read the directions and complete the article as instructed. Applicants generally hear back within a reasonable amount of time. If a certain amount of time goes by without hearing from a hiring manager, you should call up the location that you applied at in order to check the status of your application and see if they are still hiring for that position. By practicing the interview questions beforehand, you can walk into your interview with more confidence and be able to better articulate yourself. This will also help your posture and show that you are a good person for the job. Dressing professionally makes a huge difference in whether or not you get the job. Olive Garden: Visit the job application for Olive Garden to apply today. Steak ‘n Shake: See our resource page for more information on Steak ‘n Shake careers. Bojangles’: For career opportunities, fill out the Bojangles’ online application. Atlanta Bread Company: Visit the job application for Atlanta Bread Company to apply today. The Old Spaghetti Factory: Checkout the application page for work at The Old Spaghetti Factory.